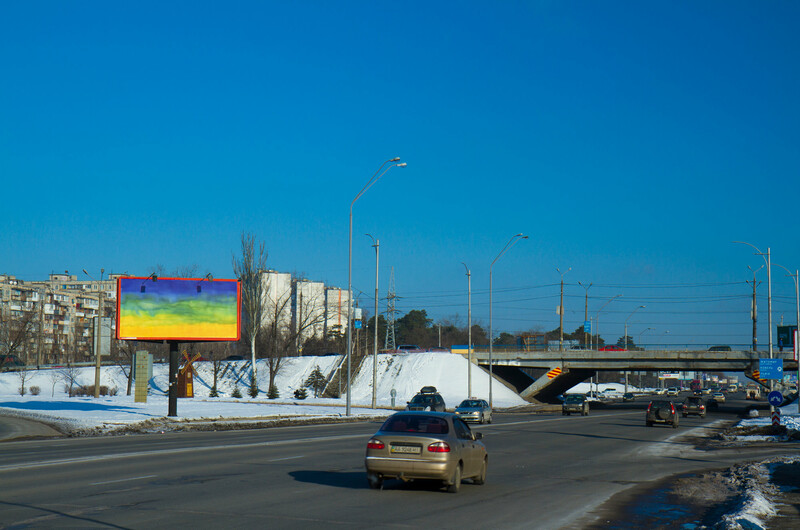 Points of Unity is produced by Hesselholdt & Mejlvang and IZOLYATSIA in collaboration with BigMedia, the biggest operator of outdoor advertisement in Ukraine. 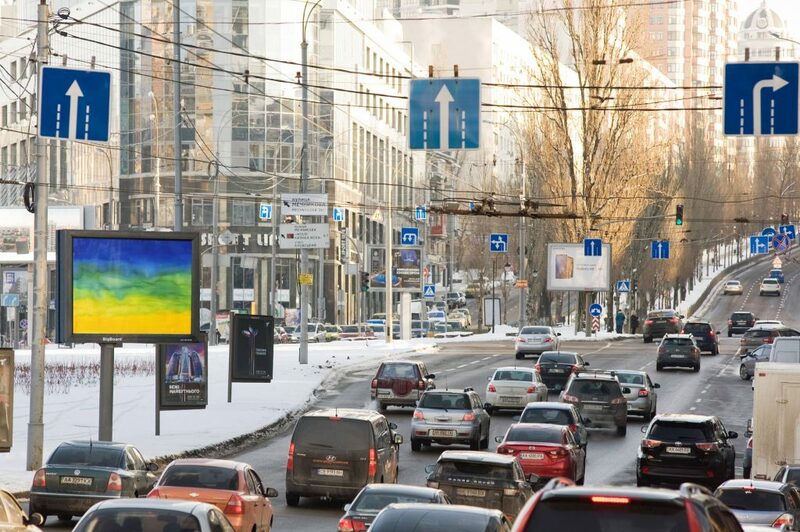 STEP 1: From January 5, 2018, Points of Unity can be seen on 50 billboards in Kyiv city centre. It is very simple images, hand-painted aquarelle backgrounds with blue colour on the top fading into green in the middle and ending in yellow at the bottom of the boards. The images are reminiscent of the Ukrainian flag, but in an abstract style with a brim of green in the middle of the two colours; the symbolic, hopeful green that emerges from the mingling of blue and yellow. STEP 2: From February 10 the slogans “Let’s look for points of Unity,” “Be a beautiful force together” and “THIS MOMENT is the Beginning” enter on the backgrounds. It is calls for action, but not in a direct way, more on the imaginary level. The slogans are talking about interactions, relations between individuals, ways of acting better in a complex world. It calls for a common effort to create a better world and a better future. The Danish artistic duo Hesselholdt & Mejlvang was founded in Copenhagen in 1999. The themes they tackle include national identity, Eurocentrism, creation of a collective notion of Us. Works by Hesselholdt & Mejlvang require deep knowledge and understanding of the context as well as sensitivity in execution. The artists are convinced that contemporary art has the potential to provoke a dialogue and challenge stereotypes, and its representation in public space broadens the audience and draws the attention of society to painful or suppressed topics.